Sevendust formed in Atlanta Georgia in 1994. They released their debut self-titled album in 1997 and the five-man line-up has remained unchanged since their formation. 'All I See Is War' is the band's twelfth studio album, their first for Rise Records, and follows 2015's 'Kill The Flaw'. Lajon Witherspoon (vocals), Clint Lowery (lead guitar), John Connolly (rhythm guitar), Vince Hornsby (bass) and Morgan Rose (drums) came to prominence during the original Nu-Metal movement, but musically they have developed their style and can now be regarded more as a Modern/Alternative outfit. If you have dipped your toe into the Sevendust back-catalogue at any time during the last twenty years then there is something familiar about the sound on '....War', but the aggressive tendencies that featured heavily during the early part of the band's recording career have been tempered in favour of something more melodic and agreeable for the listener. 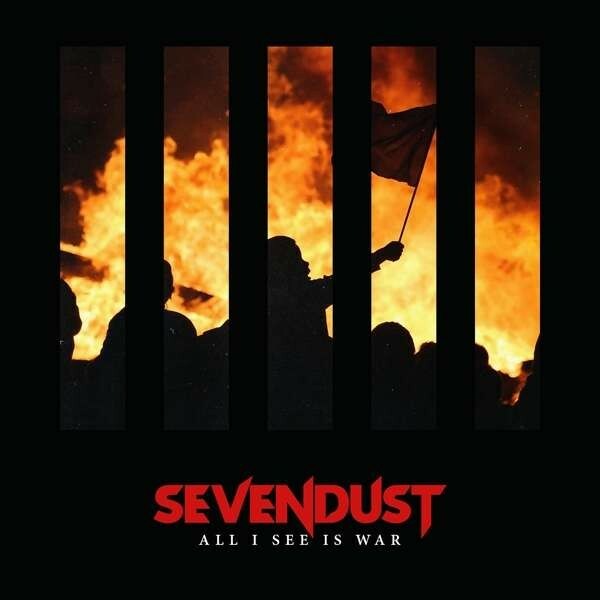 There is still plenty of power behind the music, yet this could be Sevendust at their most reflective, and consequently the most accessible set of songs to date. There is a Progressive edge to the way the music is arranged and the songs are structured, and I'm constantly reminded of Kings X as the album moves through its twelve tracks. Lyrically the subject matter is quite dark, but ultimately it is all about hope. Thematically it touches on polarization and the lack of discussion and appeals for calm when everyone is so keen to snap online. It is ultimately about the ability of music to bring people together. Witherspoons's vocals are clean throughout and though there are moments of rage he projects a melancholy, sometimes tortured image. The album is bookended by the two heaviest tracks, namely 'Dirty' and 'The Truth'. There is a sense of urgency about them and they are propelled by hard-hitting drums and intense guitar work. Both hooks are high impact and that is a feature of all twelve tracks. Michael 'Elvis' Baskette (Alter Bridge, Tremonti, Slash) has handled production for the band for the first time and I have no doubt that he has helped shape the approach to the writing and recording process. 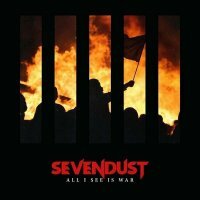 This is a thoughtful effort from Sevendust that will certainly find new fans amongst those willing to ignore the band's musical reputation and historical style.